You just can’t keep the drinks business away from Grosvenor House. On Wednesday, we got a sneak preview of the menu and wines to be served at the 71st British Academy Film Awards taking place on 18 February. 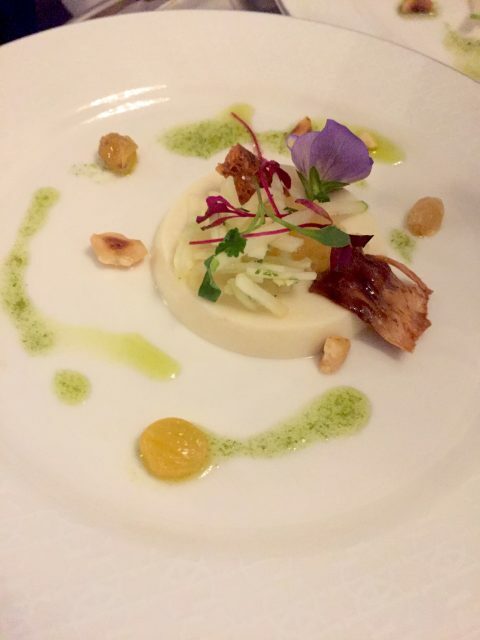 This year, the menu is more ethically-minded than ever before, with a vegan starter — celeriac panna cotta with apple jelly, golden raisins and toasted hazelnuts — making an appearance for the first time in the Awards’ history. Of course, what is an awards dinner without Champagne? Tattinger is continuing its partnership with the BAFTAs by providing the drinks for the reception, while New Zealand winery Villa Maria is celebrating its 10th year of working with the Academy by providing the still wines; a 2017 Sauvignon Blanc and a 2017 Pinot Noir.